This article aims to design a possible transitional justice in North Korea. 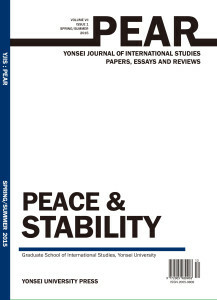 Because it is difficult to imagine transitional justice for North Korea in the current state of the nation state, the essay is based on the hypothetical setting that transitional justice will be established after the current regime loses its power and after the reunification in the form of South Korea absorbing the North, similar to the case of Germany. The article explores the different types of trials and justice systems to design one that will be optimal for North Korea.